At 10 years old Joel was uprooted from his home and world in Portugal to a new life in the States. At 26 he finds himself returning for the first time in thirteen years. So what if looking again into the eyes of his childhood best friend still makes his heart race out of his chest? Living in sunny, laid-back Portugal isn't all it's cracked up to be. For David, dreams of being a pastry chef come second to working in his family's café where his renowned custard tarts bring in the crowds. Seeing Joel brings old feelings back. Feelings he’s not sure he’s brave enough to acknowledge to anyone other than himself. With the inspiration of an old travel journal, the two friends embark on a real journey through memories in a country where looking back runs as deep as the red blood that courses through their veins. For Joel, it’s all about rediscovering his Portuguese roots, while David has always wanted to travel the country and learn about its diverse traditional desserts. 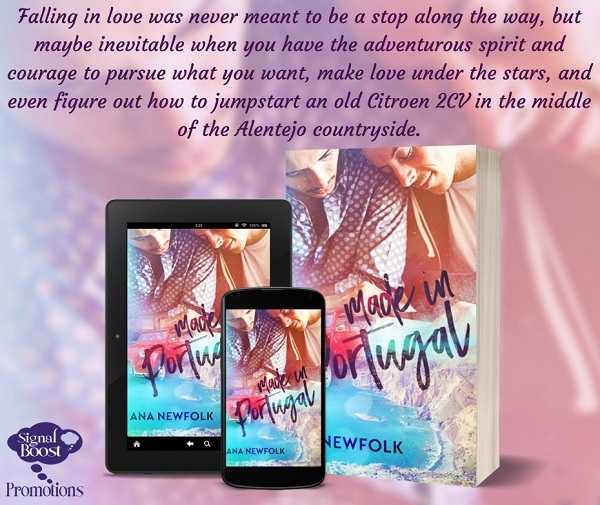 Falling in love was never a stop along the way, but maybe inevitable when you have the adventurous spirit and courage to pursue what you want, make love under the stars and even figure out how to jumpstart an old Citroen 2CV in the middle of the Alentejo countryside. This is a difficult review to write because I’m so conflicted about this book. Simply put, I loved the story but hated the writing. Joel and David’s story is a sweet, sometimes sad, second chance romance. I enjoyed the characters and the beautiful Portuguese setting. There are some beautiful and quite tender scenes between Joel and David, both as boys and as adults. It is a thoughtful and reflective romance and at times, it is almost a late coming of age story as David comes to terms with his sexuality and Joel tries to find his place between the two cultures he straddles. But while I was fully engaged with the romance, the constant tense and grammar issues did my head in. I kept getting stuck on passages that didn’t quite scan – and then I would become completely distracted from the story while I tried to figure out why the phrase, sentence, or paragraph didn’t work. I really don’t want to judge this gentle romance too harshly. There are qualifiers to my reaction. The first is that I read an advanced pre-publication copy of the book and I hope that errors will be caught before publication. The second is that I know many readers are able to skim through awkward writing and enjoy stories without picking them apart like I tend to do. This is the first book in a series, and the debut novel of Ana Newfolk. Newfolk clearly has good instincts for plotting an engaging and romantic novel. There were times I was annoyed by the informality and structure of the writing, but I remained invested in the story. I found the setting of the story in Portugal to be inspired, as it gave many of us an insight into new places and more particularly, new foods. I was glad I wasn't on a diet when reading about all those delicious custard tarts! It was fun to learn a bit of basic Portuguese too. The inclusion of a 2CV (my first car age 18) was brilliant as far as I was concerned... but I do take issue with them being able to recline the seats, I am convinced that they were set pretty much in one position. I really liked the idea of the men following their mothers' journal, and I think that was a really good device to give them a chance to get close and remember what they held important as youngsters. Their slow, careful, and genuine closeness gathered intensity as the journey progressed and they were amongst strangers. Obviously there had to be conflict, but thankfully it led to the ending that we all desired. Ana Newfolk was born in Portugal where she grew up surrounded by sunshine and countryside. She has always had a deep love of reading, and ever since she can remember her favorite presents and treats have always been books. She would often be found in her not-so-secret spot reading her favorite adventure books (when she was younger) and romance novels (when she discovered boys). At 20 years old she moved to the UK where she has lived since. 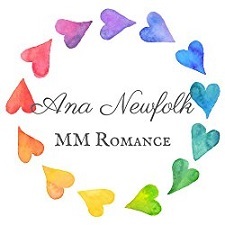 In 2015 Ana stumbled across her first MM romance novel by chance, and she was hooked. She loves reading about men falling in love, hard, fast and ever so sweetly. This new found love for LGBTQ+ romance has opened a new world for Ana, and in 2017 she decided to finally listen to the voices in her head and write them down. In addition to the time she spends reading and writing Ana has a full-time job that involves meeting lots of people with interesting stories to tell. She also loves baking as much as she loves watching people eat what she creates, much to the delight of family, friends and work colleagues alike. 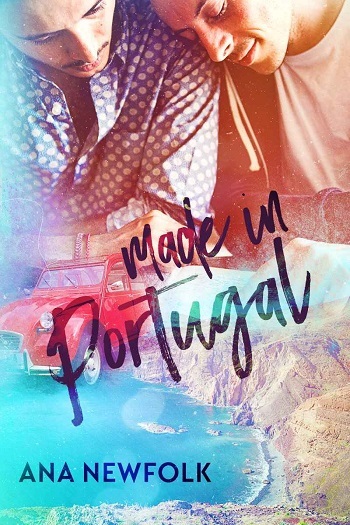 Reviewers on the Wicked Reads Review Team were provided a free copy of Made in Portugal (Made In #1) by Ana Newfolk to read and review for this tour.